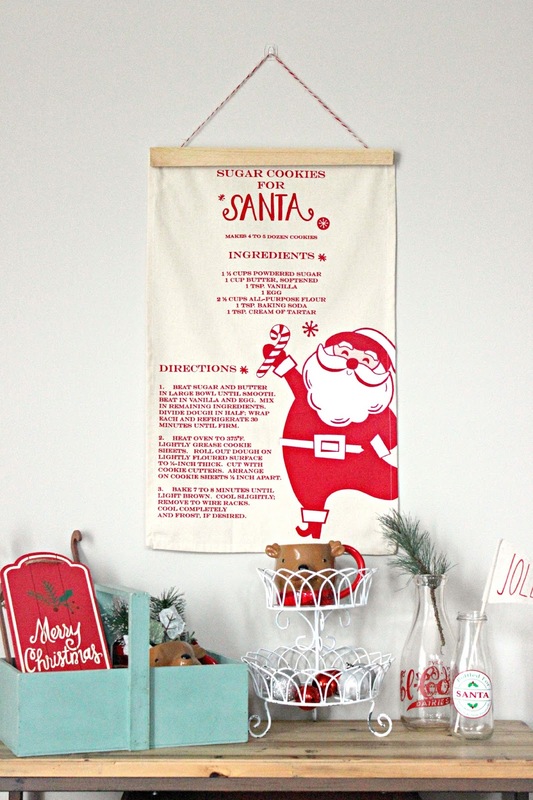 I've professed my love for tea towels a time or two on this blog, and really can you blame me? They're just too pretty to be sitting folded up in a drawer or GASP used for dishes!!! 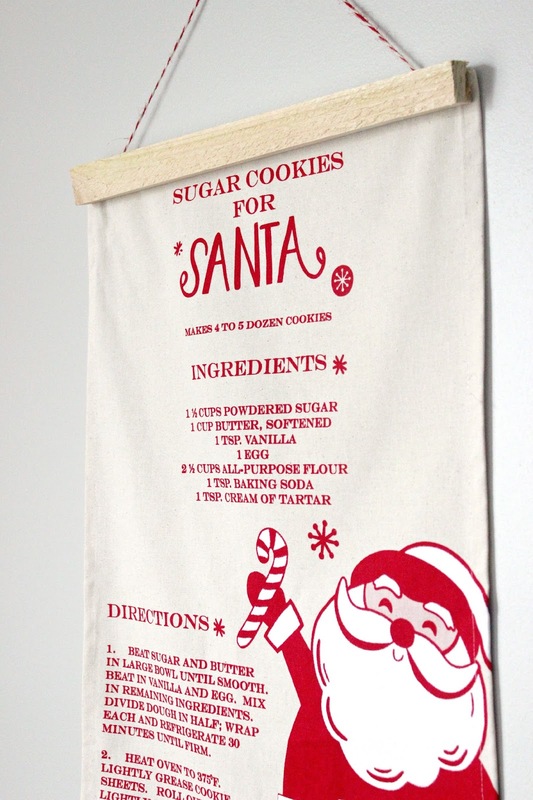 Last year I picked up this adorable Christmas cookie recipe towel from Target and I knew right away I wanted to make wall art of it for our kitchen. This project was short and sweet, just the way I like my crafts! Originally, I had planned on just framing the towel but it had some wonky measurements and I couldn't find the right size frame so I quickly resorted to option B; make it a wall banner. I simply used some scrap wood trim that we had lying around the garage. After cutting it down to size, I used thumb tacks on the back to attach the towel to the wood. I wanted to avoid doing anything permanent that would perhaps damage the towel, ya know, in case I ever decide to do something different with the towel in the future. Hanging it was easy too! I checked out my holiday wrapping paper stash and found some great red and brown twine that I thought would compliment the wall banner well. After cutting the twine to length, I knotted each end of it and then used a couple push pins to hold the knots down to the back of the wood trim. All in all, this project took me a whole fifteen minutes to make. 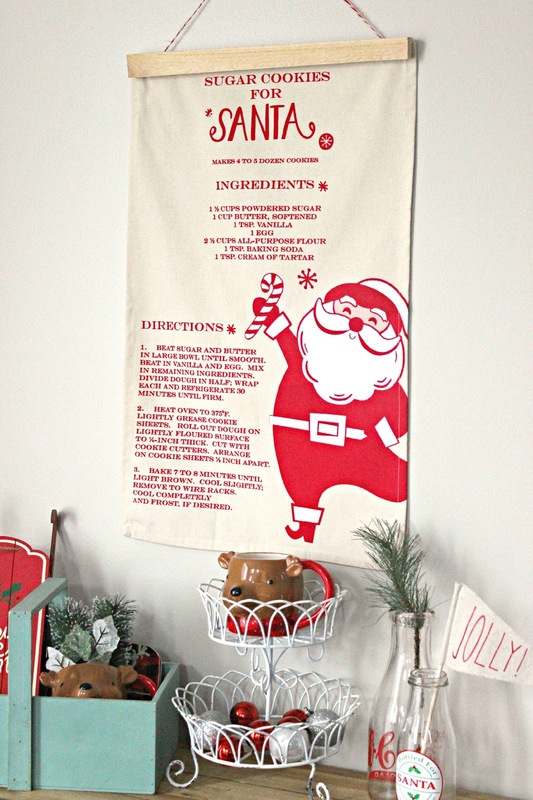 I predict a lot more tea towel wall art in my future! I'll be sharing this over on Instagram for this week's #create4theholidays We just announced this week's theme and as you can see it has something to do with the kitchen and the holidays. I can't wait to see what everyone shares! 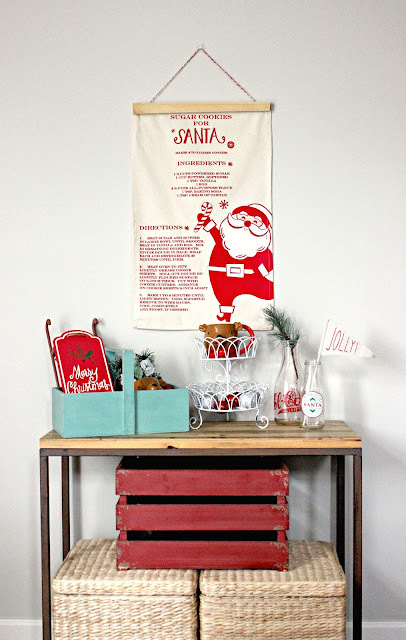 As always, you can catch glimpses of my decorating and DIY shenanigans there as well! I love this idea! I want to make some for my kitchen to use year round with my vintage tea towels!